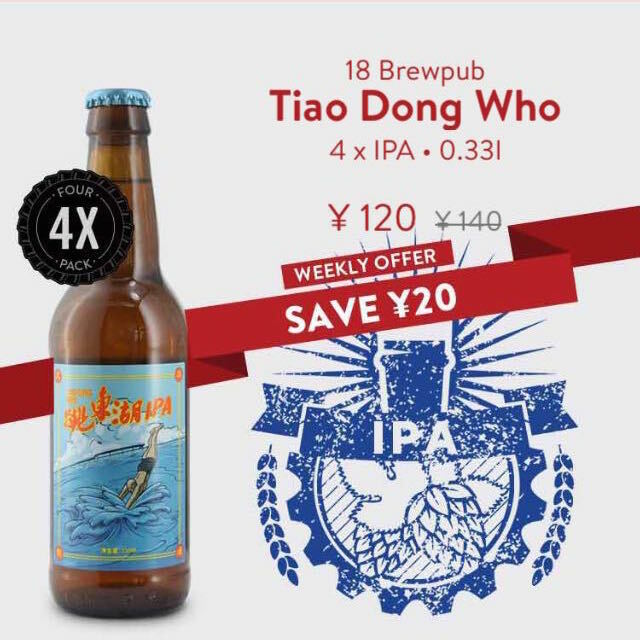 For this week only you can get a four-pack of 18 Brewpub’s excellent Tiao Dong Who IPA for only ¥120 (down from ¥140). This sublime India Pale Ale comes through with big hop flavors, a pleasant floral aroma and a clean, malty body. It’s brewed in the metropolis of Wuhan, central China. Wuhan is famous for it’s noodles, it’s scorching summer heat and East Lake, a beautiful scenic area rivaled only by Hangzhou’s West Lake. 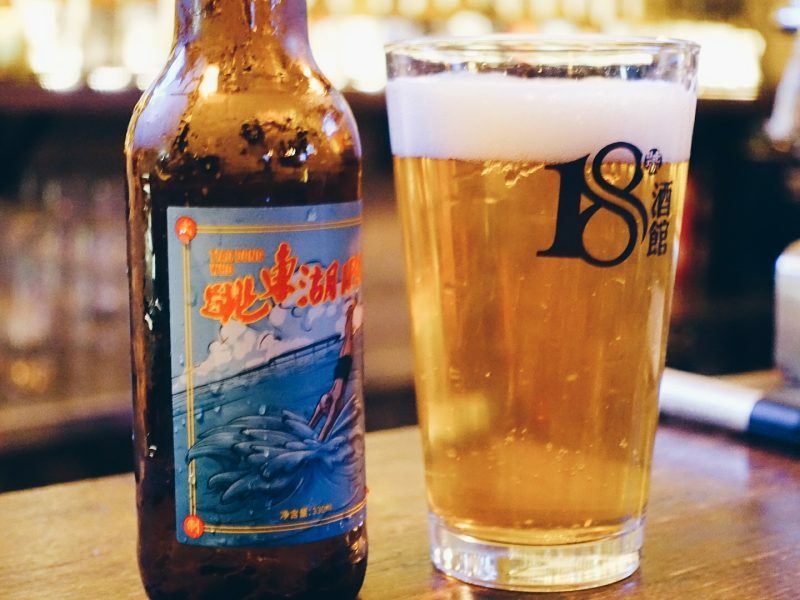 The Tiao Dong Who IPA’s name roughly translates to “Jump in East Lake”, named for the popular summer activity of jumping away from the beating sun into the lake’s cool waters. It tastes just as refreshing as it sounds. 18 Brewpub was founded by Jiang Qi in 2015. Jiang was studying beer production in university before craft beer was even a small splash in China’s pint glass. After travelling to Shanghai to drink in the city’s thriving craft beer scene, he turned down an offer from Budweiser. He then returned to Wuhan, inspired, to open 18 Brewpub. Now, he keeps working to bring the craft revolution to his hometown. One bottle, one tap and one awesome brew at a time. To start saving on this homegrown craft beer – and to get it delivered chilled to wherever you are in Shanghai and Suzhou – download the BottlesXO app here.